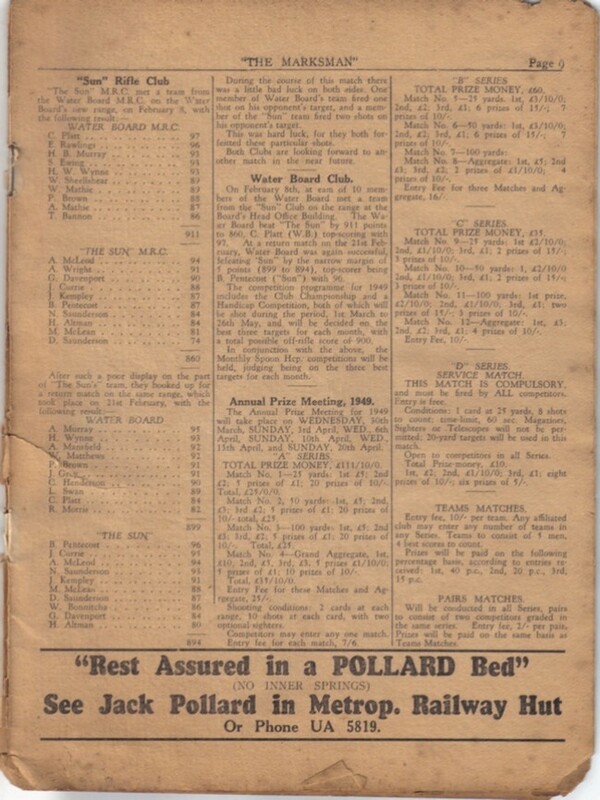 Documents held by the Mitchell Library (Davis Sporting Collection 26-21 and 26-22) refer to the original MDRA No.1 holding its 12th annual open prize meeting at Randwick rifle range in 1910, this site is now occupied by the Randwick Race Course. 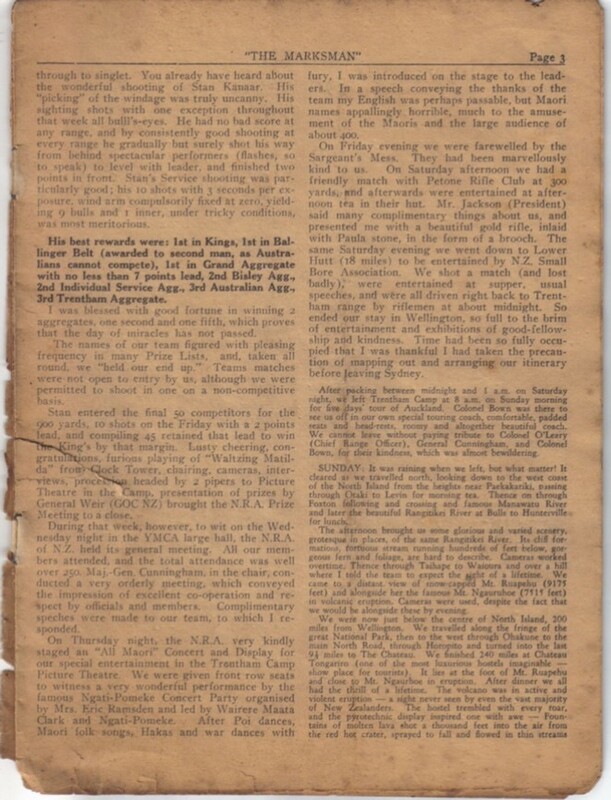 This would indicate that the original MDRA No.1 was formed prior to 1898. The Metropolitan District Rifle Clubs' Union, No. 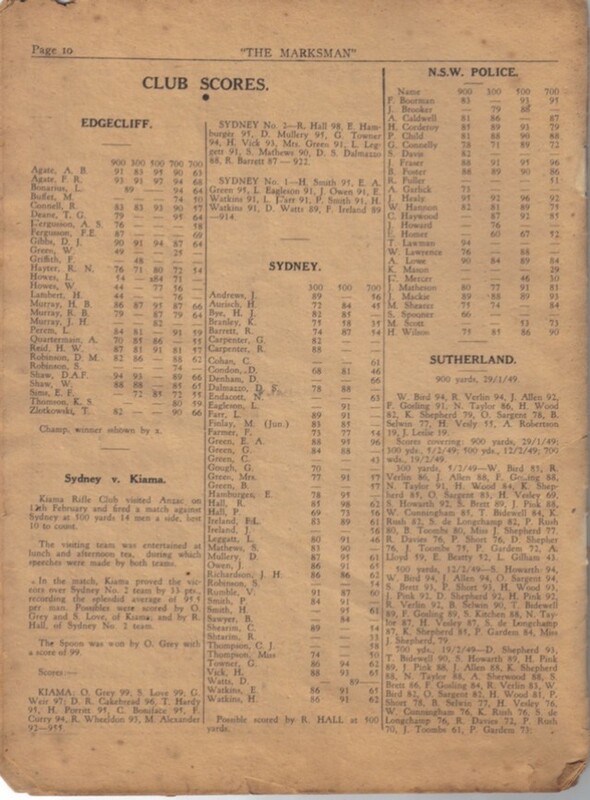 1 (No.2 Military District, NSW was founded 1913 to control shooting on the rifle range at Malabar headland. 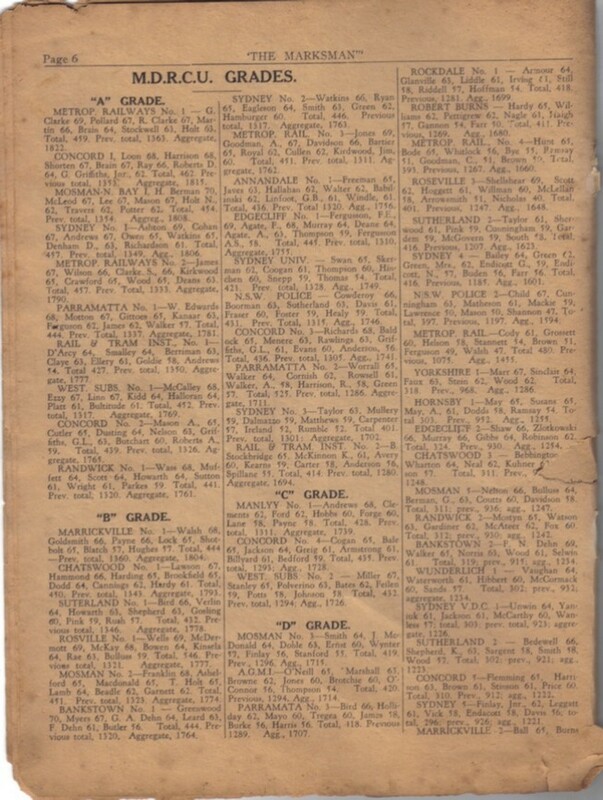 The objects of the MDRA in 1913 were "to raise the standard of rifle shooting, and stimulate the members of Rifle Clubs to make themselves proficient in the use of the rifle with which they are armed, as a necessary principle of national defence; and to promote and organize competitions and prize meetings wherein Members may participate for the development of such principles". Anzac Rifle Range, Franklin Street, Malabar has been used as an active shooting range since the late 1800's and is believed to be the oldest rifle range in Australia which has been continually used since the first shot was fired over 150 years ago. The rifle range has historical value and dates back prior to Australian Federation, the range is also host to many native plants, two pockets of coastal heath and scrub land exist which are home to more than 60 native species which have survived due to this portion of land being set aside as a rifle range so long ago. And remaining a rifle range continually since late 1888 when there were 12 targets in operation. By 1900 Long Bay Rd extended as far as the rifle range with a rail service arriving in 1902. 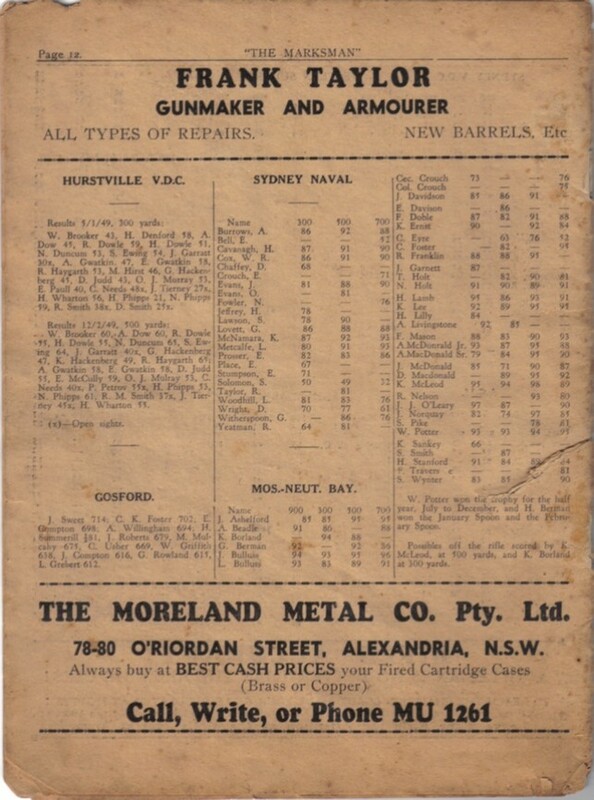 On 21 December 1910 the New South Wales Government declared that the land was to be used for military purposes and it was used for musketry practice during World War One. It soon became clear that a more permanent rifle range was needed and a survey of the land was undertaken in August 1919. Robert Henry BEARDSMORE (1873-1959), soldier and public servant, was born on 12 August 1873 at Marrickville, New South Wales. 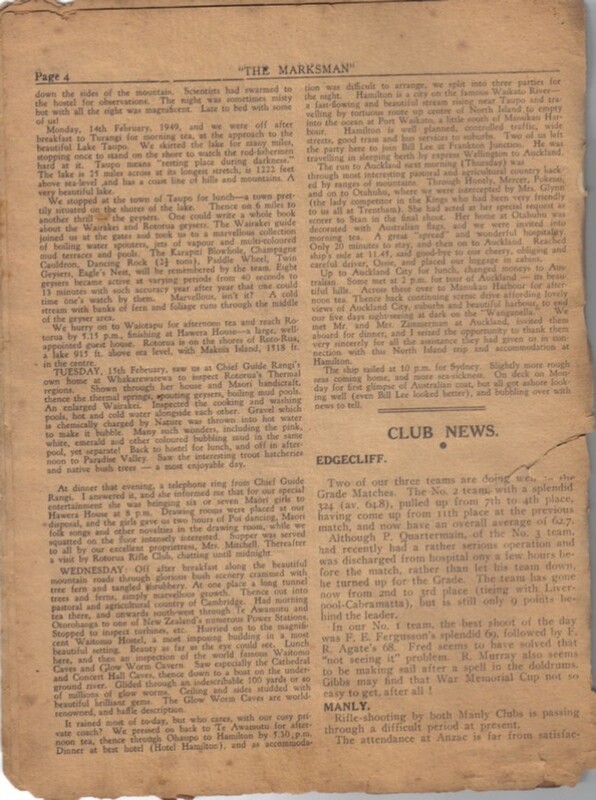 Beardsmore was a keen sportsman one of his favourite recreations was rifle-shooting, in 1919 he had captained the Australian rifle team at Bisley and was the president of the Metropolitan District Rifle Association of New South Wales. ANZAC Rifle Range From Wikipedia, the free encyclopedia. The ANZAC Rifle Range is the largest rifle range in the southern hemisphere, and is located on the Malabar Headland, south of Sydney. It is headquarters to the New South Wales Rifle Association, and hosts the annual NSW Queen's Prize. 1850s: recreational shooting began on the rifle range site. 1888: recreational target shooting reported to be in action. 1910: NSW Government dedicated the whole headland for military purposes. 1916: a cliff face ocean outfall for sewerage established south of the nominated area. 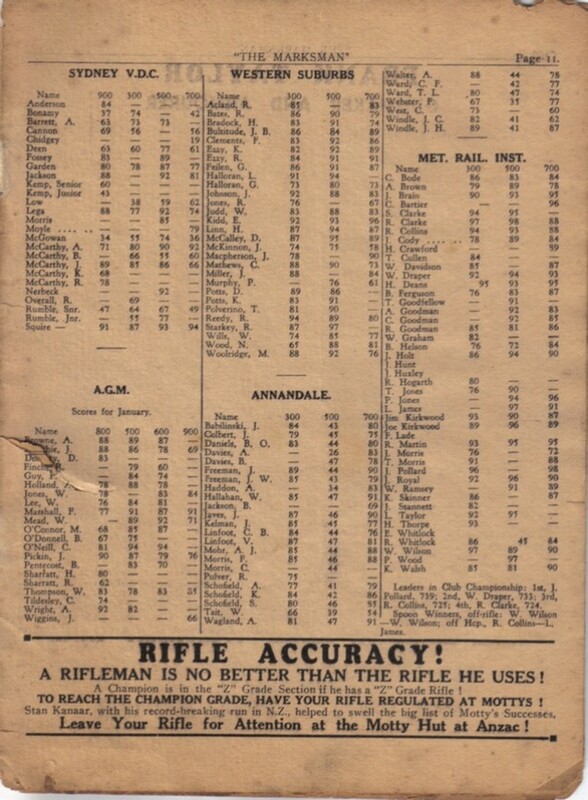 1919: a permanent rifle range site was surveyed on the site. 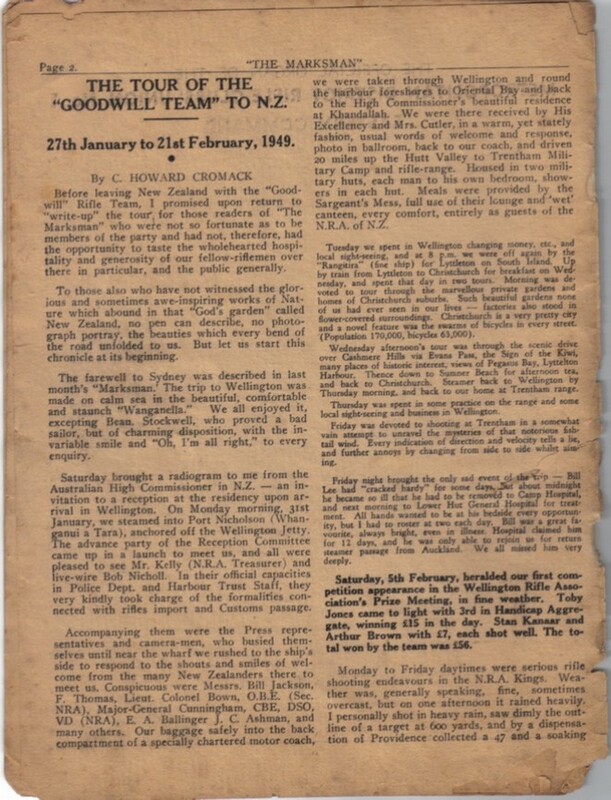 1929: control of the rifle range was transferred to the Commonwealth. 1939 - 1945: various military installations (circa 43 in number) built on the site, notably the Boora Point Battery. 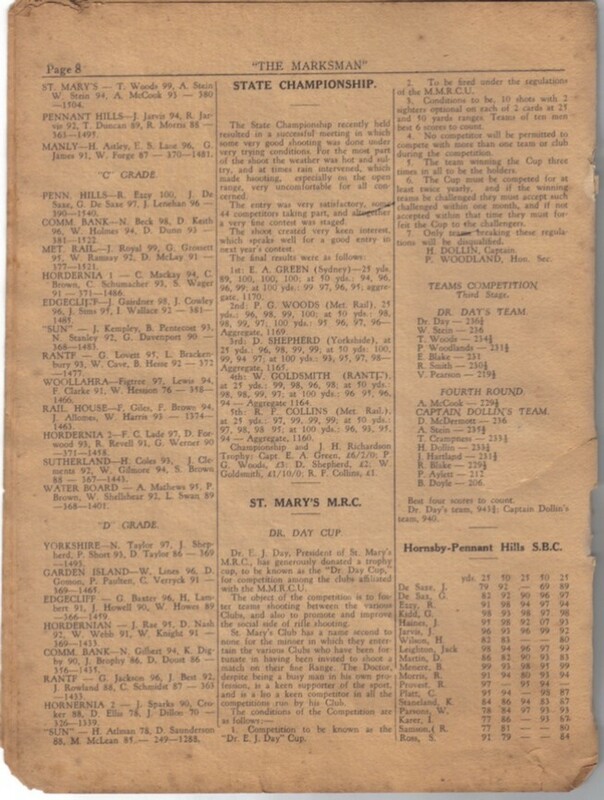 1967: NSW Rifle Association clubs transferred to the site from Holsworthy. 1968 - 1988: rifle range site used for extensive landfill operations, possibly from nearby industrial sites. 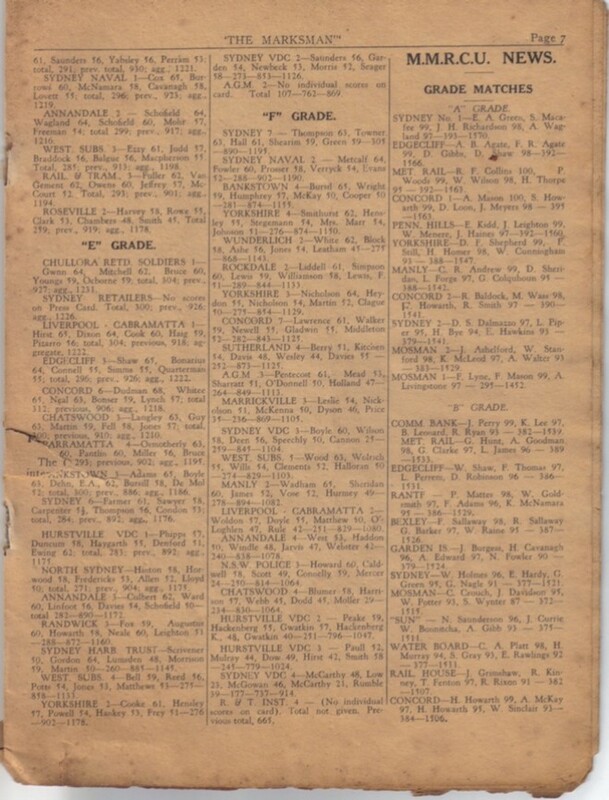 1970: name of the area changed to Anzac Rifle Range, Malabar. 1986: Commonwealth announced intention to dispose of property, and official military use ceased. 1990s: legal action undertaken by NSW Rifle Association to prevent disposal of the site. 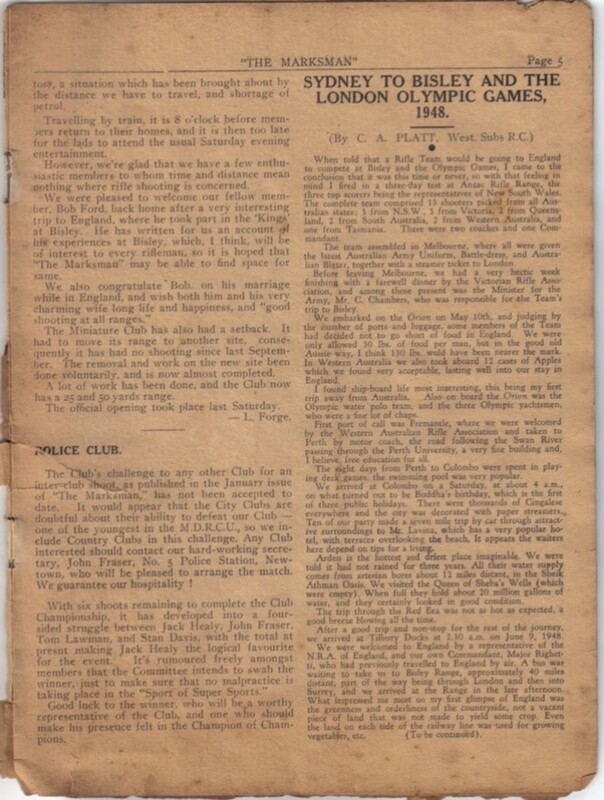 The following document was found in the Railway & Tramway Insitute Rifle Club the front page has been reproduced for historical value. 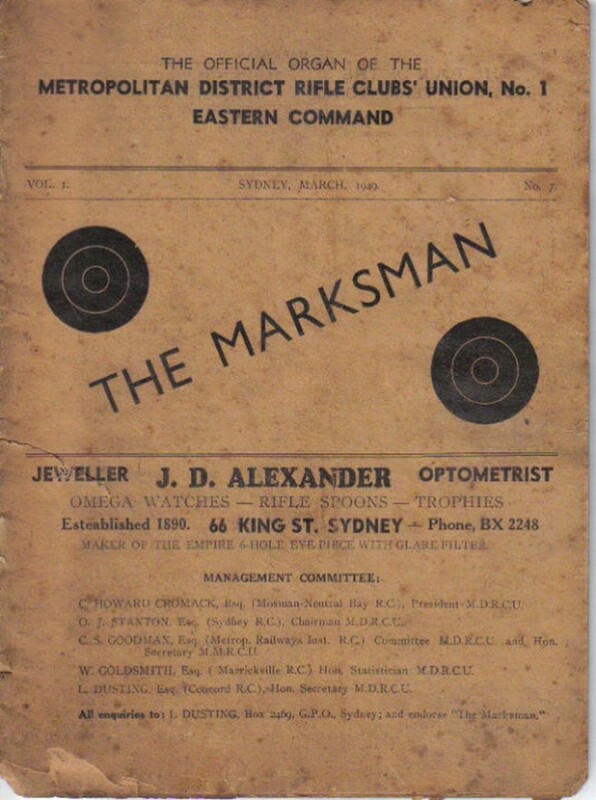 The Marksman was a magazine that was the official organ of the Metropolitan District Rifle Clubs' Union No 1 Eastern Command, until it became the official document of the NSWRAI until it was replaced by the National Magazine called the Australian Target Rifle.